I’m not a sneakerhead, I just cop a lot. 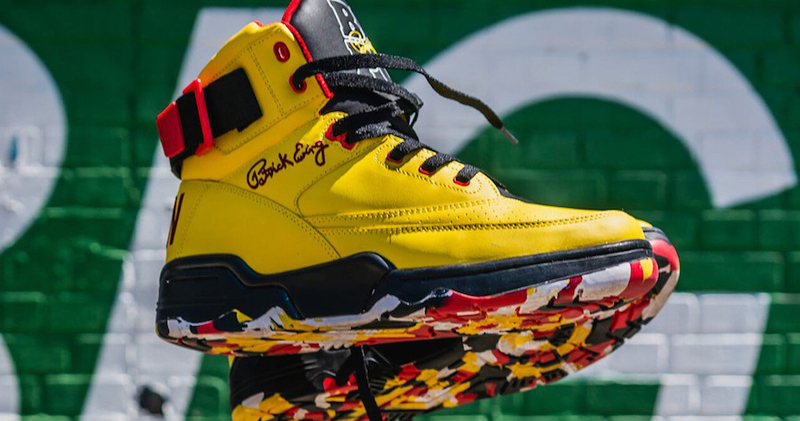 Ewing Athletics are celebrating the 20th anniversary of Big Pun’s killer album debut, 1998’s Capital Punishment, with this insane special edition release. Designed in conjunction with the late rapper’s family, this Ewing 33 Hi uses colors from the album artwork, as well as “BIG PUN” on the heels. You gotta peep the outsole tho ? The limited Ewing Atletics 33 Hi “Big Pun” will drop at a special event at BX Sports in the Bronx on April 28th. It comes paired with a limited edition vinyl production from Sony Music. But if you’re from out of town, don’t sweat it. Sizes from 5-16 will also be able to purchase on EwingAthletics.com.